Facebook is expanding its developer platform to help users save content and share quotes through new services it announced at its F8 developer conference in San Francisco Tuesday. A new Save to Facebook button will let Web developers add a button to their content that allows users save content to a private section of Facebook only they can see. Facebook says 250 million people already use the feature, and this integration means users will have an even easier way of getting content into the service. The feature will have the support of Product Hunt and Overstock.com, along with other partners. It's something that puts Facebook in conflict with Pinterest, a service that lets users save content from around the Web to a set of graphically rich boards they can share with other people. Right now, Pinterest's product for saving content from the Web is more built out, but this move puts the two companies on a collision course. In addition to the Save to Facebook button, a new quote-sharing feature is supposed to make it easier for people to share content they love with their friends. When a developer integrates with Facebook's quote-sharing feature, users will be able to share from an article or book without having to copy and paste from one app into another, or take a screenshot of the text before posting it as an image to Facebook. One of the early integrators with the feature is Amazon, which will let users highlight a section of a Kindle book, and then post it to Facebook with a few taps. The move is going to help publishers increase their reach on the social network while making it more convenient for users to share words they love. 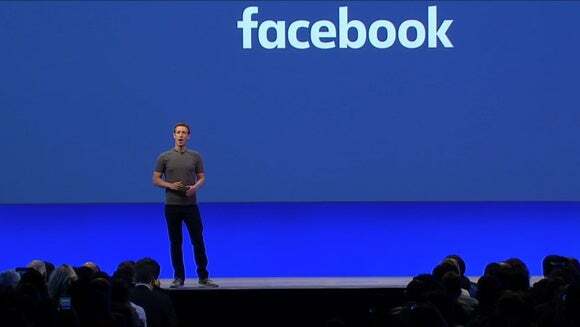 These announcements are just a drop in the bucket when it comes to Facebook's announcements from F8 Tuesday, which also include a new developer platform for building bots on its Messenger service and a set of tools for app developers to help attract and maintain user engagement.